The Dabakis Debacle — Bears Ears Debate Heats Up — Social Media and the New War on the West | RANGEfire! Note: Much has already been written and said about the tactics, inclduing efforts to transport “outsiders” into San Juan County to stack the deck in the recent public hearings regarding the proposed monument designation. But obviuosly that was just the start. Utah State Senator Jim Dabakis posted the following picture on his Facebook page on August 5, 2016. Dabakis states that US Senator Mike Lee conjured up this picture to scare his “MINIONS” in to demanding “NO MONUMENT”. Citizens of San Juan County who are being directly affected by the monument if designated began to reply to Dabakis post. 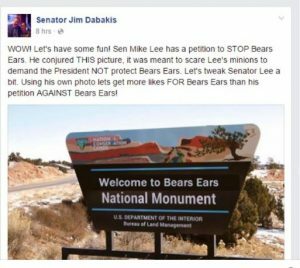 As comments were posted opposing the National Monument or questioning Dabakis about the so called “Lee” photo they were deleted and the person making the post was blocked from his page. For example using my personal account Monte Wells, I asked Dabakis about the picture and likened it to thepropaganda stunts the environmental groups have been using in San Juan County, Utah. 17 minutes after I made my post everyone between Layne Perkins and my post had vanished as you can see in the screen shot below. I was also blocked as you can tell because the comment link is no longer visible. This happened to over a hundred San Juan County and Grand County residents that oppose the national monument. 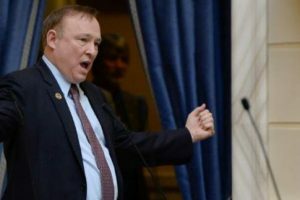 One can only assume that it finally dawned on Dabakis that lying about the “Lee” photo and shutting down, and silencing, and patronizing hundreds of Native Americans and other residents of San Juan County Utah as well as the surrounding area was probably not the smartest thing to do. 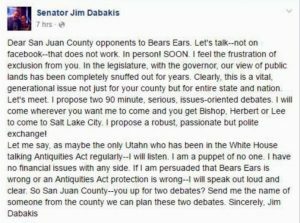 Jami Bayles of Blanding, Utah sent Senator Dabakis the following perfect response to his debate request. I appreciate that you recognize how thoroughly you’ve compromised your credibility with the people of San Juan County, and I’m flattered that you want to come debate us in person, since it is clear you don’t know how to do so on Facebook. I would love to respond to your request, but I can’t respond directly to you because you have blocked me on social media. Before I can personally respond to your request, you need to restore your credibility. You need to provide a source for the image that you have attributed to Senator Mike Lee. I asked his office if it came from them, and nobody knows where it came from. If it is not from him, that means you blatantly lied in an attempt to mislead the public into supporting your position on a public issue. Unlike you, Senator Lee actually represents me and speaks for me on the issue of the Bears Ears National Monument. When you lie in public about his position, you lie about MY position. You owe me an apology for this lack of judgement on your part. I am not looking for an explanation where you pass this off as a good-natured publicity stunt that backfired. I want an actual apology for having lied, and it needs to be public (I recommend Facebook). Also, it would probably be the ethical thing to do to update the caption on your post with the misleading picture to let those who have engaged with that post know that they have been misled. I will be watching for this public apology, and once it is out, I will help you share it with all the reporters in the Utah media, just to make sure it is REALLY public. Like I said, I’m flattered that you want to come debate us in person regarding the proposed Bears Ears National Monument, but I have to ask, “why you?” You do not represent us in any capacity as you are not politically accountable to us in any way. And to be completely honest, I’m confused why you think you have any electoral mandate whatsoever to be representing our interests before the White House. As you may have noticed we are civically engaged, and we plan to continue working aggressively with our elected officials including Senator Lee, Senator Hatch, Congressman Chaffetz, Senator Hinkley, Representative Noel, County Commissioners Phil Lyman, Rebecca Benally, and Bruce Adams to make sure our voice is heard by those who actually represent us. Many of my friends from San Juan County have recognized how childish you were to block us all on social media, and we are happy for you that our interests have given you special access to the “cool kids” table at the White House, but it’s time to start acting like an adult on this issue. If you could tell your friends at the White House to listen to our elected representatives, that would be appreciated. We really don’t like that you are using our land, our interests, our jobs, our community, and our heritage as a pawn in an effort to aggrandize your political career. Meanwhile, if you want to have a debate about national monuments and the Antiquities Act, you should start fighting for the President to designate a monument in your own district. 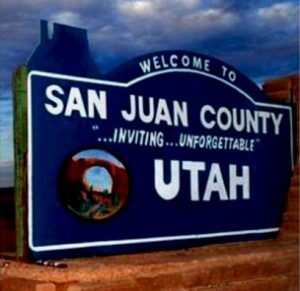 While I respect the sentiment that wealthy residents of the Avenues in Salt Lake City should have nice places where they can go on vacation or a weekend getaway, San Juan County is my home. The locals take care of it, HAVE taken care of it, and will continue to take care of it, and I hope you will continue to come visit us to see for yourself. I also hope that you can find ways to publicly engage your constituents, and you shouldn’t neglect their interests to come and meet with us. If you want to represent us, you are welcome to move here or run for another office, but until then I’m not interested in having a debate with someone whose voice on this issue really doesn’t matter. The only reason we engaged you in the first place is because you’re trying to use your position as an elected official to advocate for something that will only marginally affect you, but dramatically affect us. Don’t misunderstand me, I’m not declining your invitation, but really, wouldn’t it simply be a wasted trip for you, and a waste of time for us? So instead of a debate, how about you leave us alone, and we’ll leave you alone. And tell the White House to leave us alone too. The behavior of Dabakis to shut down, and silence, and patronize the citizens of San Juan County is a common practice with those pushing to get President Obama to designate a national monument. We saw this same behavior this week with the Outdoor Industry Leaders who refused to allow two Native American (Dine) women from San Juan County into their press conference. When the women began talking with the media at the conference in the hallway the organizers allowed them in, but they were told to stand at the back of the room and not to speak to anyone including the media. Because of all this we need help telling the President not to designate the Bears Ears National Monument. Please sign this petition so the peoples voice can be heard. That’s what it takes. That is the voice of “We the People”. We applaud you and support you! Jim Dabakis came to Utah from Massachusetts to attend college in 1971 and is a flaming liberal Democrat. No self-respecting Utahn should agree with this lunatic.